When life is flying by faster than you can keep up with, something is bound to fall through the cracks. For me, it’s often getting the chicken out of the freezer and thawed in time to get it marinating. While I usually freeze chicken in a marinade in a freezer baggie, but sometimes I can’t even manage to get that done when I get home from the grocery store. 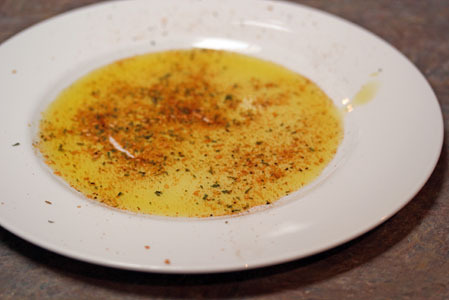 Add some olive oil to a rimmed plate. Place the chicken on both sides. Let sit until ready to go onto the grill. 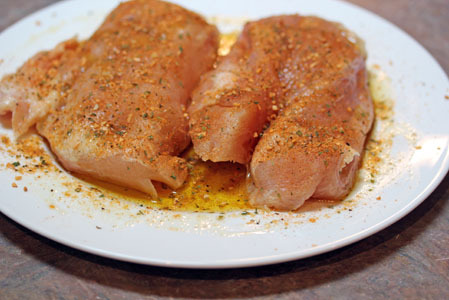 Delicious tasting chicken…even when you forget to marinate it!